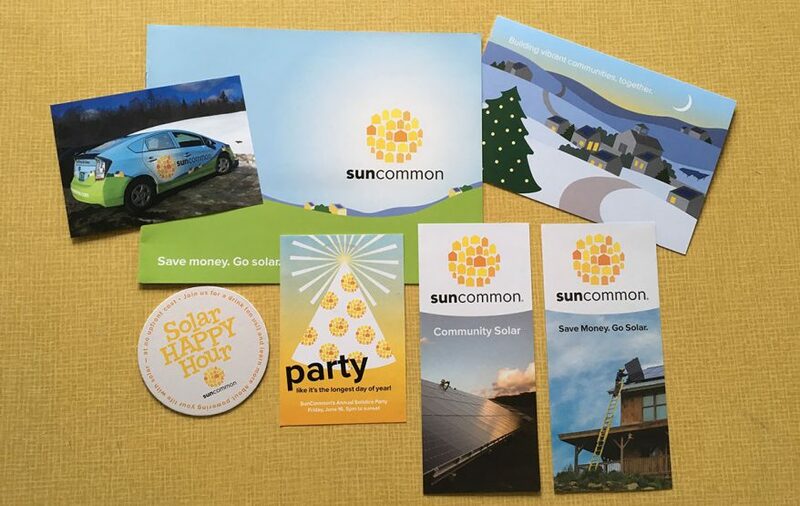 We’ve been working with SunCommon since they started in 2012. In fact, we helped to name the company and designed their logo and brand identity. 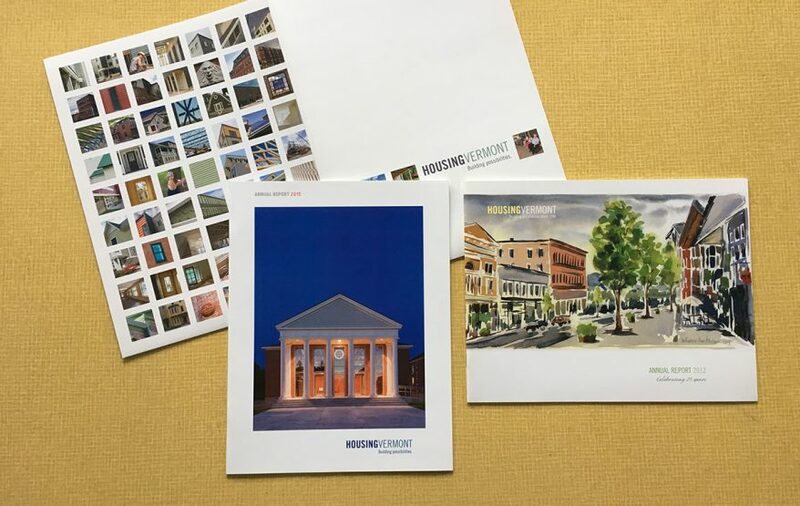 We’ve had some amazing opportunities to design not only brochures, sales booklets, t-shirts, and the like, as well as vehicle wraps, a bouncy house, a Mardi Gras float, and the interior graphics of HQ in Waterbury (see images soon!). SunCommon is a great company doing good for the planet. This makes us so happy. Erika Senft Miller is a creator of dance, performances, and extraordinary artistic events. 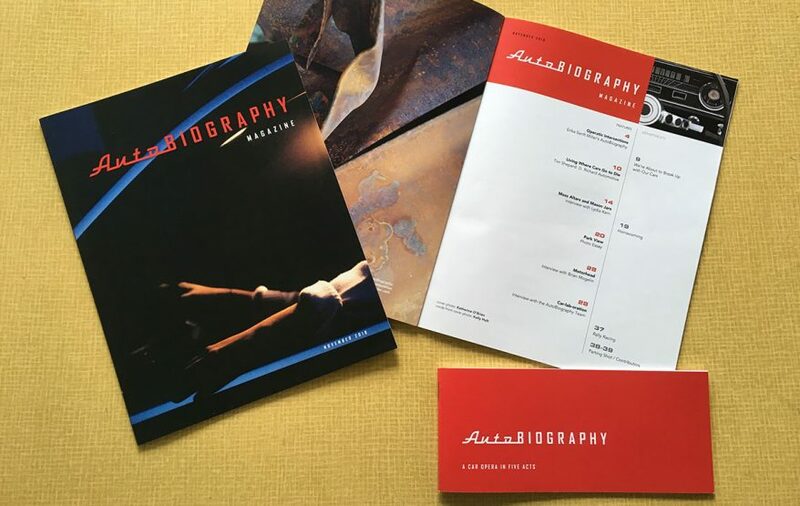 For her event Autobiography, which took place in the Burlington Marketplace parking garage, we designed a logo, a car manual-like program and a magazine that ponders connections between people and their automobiles. It’s hard not to get geared up when Erika talks about her next big idea. We can’t count how many times we have designed the Housing Vermont annual report — we feel so fortunate! While the format is similar year to year, we have a creative challenge to make each report unique. Supporting our efforts, is the work of great local photographers and artists — part of our visual toolbox. Housing Vermont builds community through affordable housing, historic preservation, and partnering with organizations throughout the state. We love Art Hop. So do the ~30,000 people who attend Vermont’s largest art event that takes place in September each year. Besides the fact that Art Hop happens in our “hood” and we know many of the artists, it’s super fun to promote such a cool event. 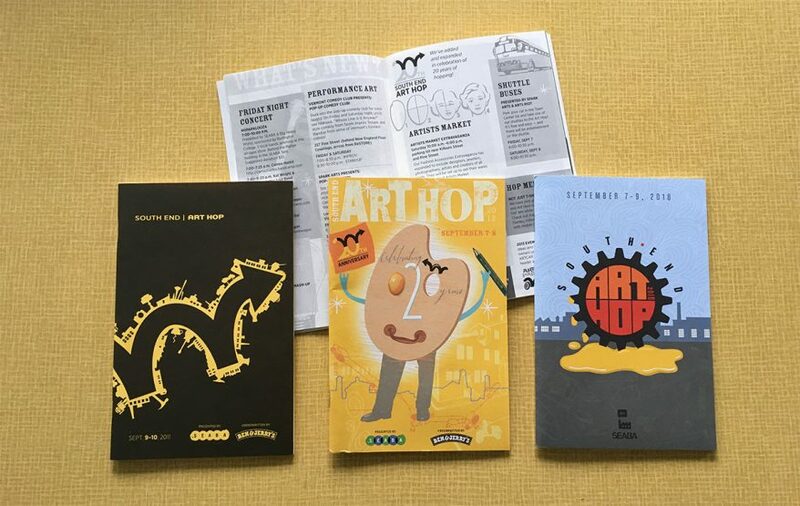 For three different years we have created the branding for Art Hop including logo, event poster, site poster and program.